One of the first step to a successful start in Nimble is uploading your company contacts from an existing CRM, spreadsheets, social and email accounts, third party integrations or other sources. Once you add your contacts to Nimble, you'll be able to take advantage of all the Sales & Marketing features Nimble has to offer. 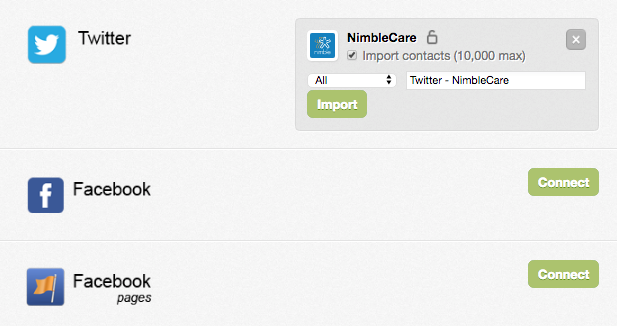 Contacts can be imported to Nimble in bulk from within Settings >> Networks & Imports. How do I migrate my data to Nimble? We've built the CSV Import Wizard for Nimble as an in-app utility, allowing you to load any CSV file into Nimble and then match the fields for import to Nimble. Upload the file into Nimble, match the fields, and let our Wizard do the rest! To learn more about migrating your data to Nimble from your current CRM or existing spreadsheets, take a look at the following: How do I migrate my data from another service? How do I import my email contacts? Seamlessly import your contacts to Nimble from your Gmail and Office 365 account to Nimble. Once you've connected your email accounts in Settings >> Networks & Imports, you will see the option to "Import contacts". Using an alternative email provider? No worries! You can still import your email contacts by exporting them to a CSV file and uploading them to Nimble using the Import Wizard. You may also be able to connect the account through our PieSync integration for contact import. How do I import my social contacts? Each social account will have a different import process. We have also partnered with PieSync to seamlessly integrate their 2-way contact syncing functionality within your Nimble account. To get started connecting third party apps to Nimble through PieSync, visit Settings >> Networks & Imports and click "Settings" next to PieSync. How does the Nimble Smart Contacts App work? Our Nimble Smart Contacts App enables you to take Nimble with you anywhere you work on the web to gather insights on potential leads and add them to your Nimble database. You can download the Nimble Smart Contacts App to your Chrome, Safari, Firefox and Edge browser or use it in your Gmail or Office 365 Inbox. How do I import my mobile contacts? 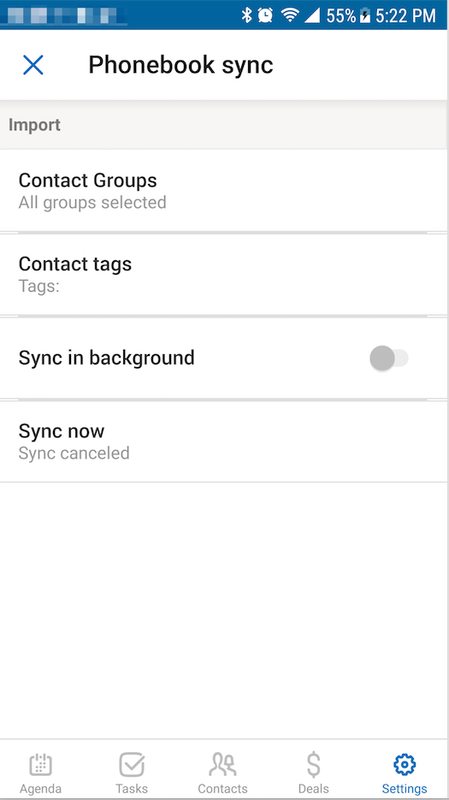 Once installed, visit Settings >> Phonebook and select "Sync now".